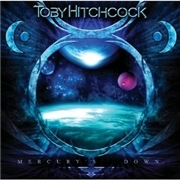 TOBY HITCHCOOK made the spotlight as vocalist of SURVIVOR founding member JIM PETERIK´s latest venture PRIDE OF LIONS. He did it to such an extent that he was awarded the opportunity to debut as a solo artist on the same label. He has been compared to the likes of LOU GRAMM (ex. FOREIGNER) or JIMI JAMISON (ex. SURVIVOR), and a young vocalist can do far worse… While waiting for the next PRIDE OF LIONS album in 2012, we leave the stage to Toby, augmented by Swedish talent Erik Mårtensson, who handles all instruments. This is not child´s play. From the first chord on it is evident that Toby means business, and that he has been well reinforced by the multi talents of Erik. Opener “This Is the Moment” is one of the absolute highlights of the album, right up there with “Summer Nights in Cabo”, and “Tear Down the Barricades”. Toby´s voice carries the melodies with confidence, and the obvious flirtations with the AOR audience must be described as successful. The album gets rockier as it progresses, with “Tear Down the Barricades” and “A Different Drum” as prime examples. But the best pick on the album has to be the outstanding ”Just Say Goodbye”. The feeling is so close to that of the genres outstanding tracks; “Don´t Stop Believing”, “Waiting for a Girl Like You” etc. The main letdown is the pale and lethargic title track, hidden away at the bottom of the track list. It is a fact that this will be one of the top contenders for best new AOR in 2011. But it will probably not be a timeless classic. The over-use of Erik lately will shine through and though he is one of Sweden´s finest he does not recreate the magic of the genre´s glory years. Not this time around anyway… but who knows what lies ahead.